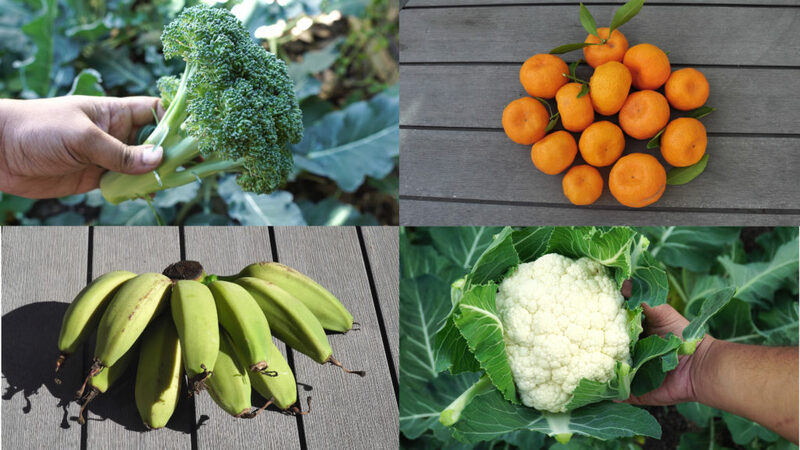 Harvests – We then show you harvests like bananas, broccoli, cabbage, cauliflower, lemons, mint, mulberries, oranges, peas, radish, tangerines and wheat grass. We look at some cool gardening products. So sit back and enjoy the Spring Garden Tour of the California garden!